Like so many other aspects of our health, the best medicine for your teeth is preventative care. Anything you can do to help maintain your oral health and keep your gums and teeth happy will serve you greatly as you get older. The Mayo Clinic notes that the health of your teeth and mouth can be indicators of other health issues in the rest of the body and that problems in your mouth can also affect other parts of your body if not properly treated. In particular, as we age, the risk of periodontitis, a serious form of gum disease, increases, which makes the maintenance of your oral health even more important. The more you can do to cut down on the development of bacteria, inflammation and infection around your teeth and gums, the better your oral and overall health will be. Below, find five tips for keeping your oral health in top shape – you’ll thank us now, and later! Flossing isn’t exactly a favourite activity for anyone, but it’s one of the most basic and essential ways of maintaining your oral health. Cleaning between your teeth ensures that plaque is removed properly, which prevents the development of cavities and gum disease. 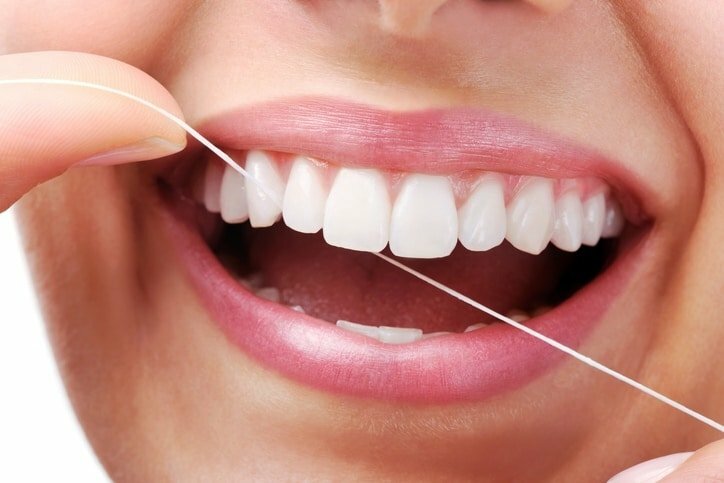 Dentists recommend flossing daily in order to keep your teeth in the best shape possible. Floss options have even been developed for those who are wearing braces or have permanent retainers bonded to their teeth. 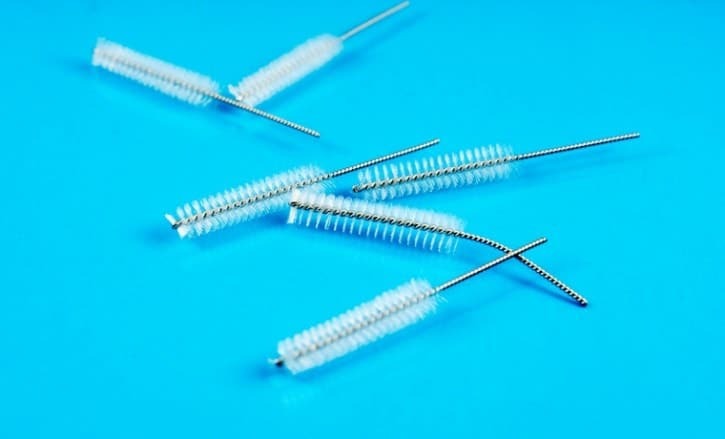 These handy loops can be used in the same way a needle would be to thread the floss between your retainer or braces and teeth. Once the floss is between the metal band and your teeth, remove the loop and continue flossing as normal. It takes a bit of extra time, but as we mentioned above, you have every reason to floss every single day – oral health helps you maintain your overall health, and can prevent serious issues down the road. It’s not recommended that you use a wooden toothpick as a regular dental care tool. Instead, the dental hygiene industry has developed picks that are easier on your teeth and gums, and still get the job of cleaning done well. 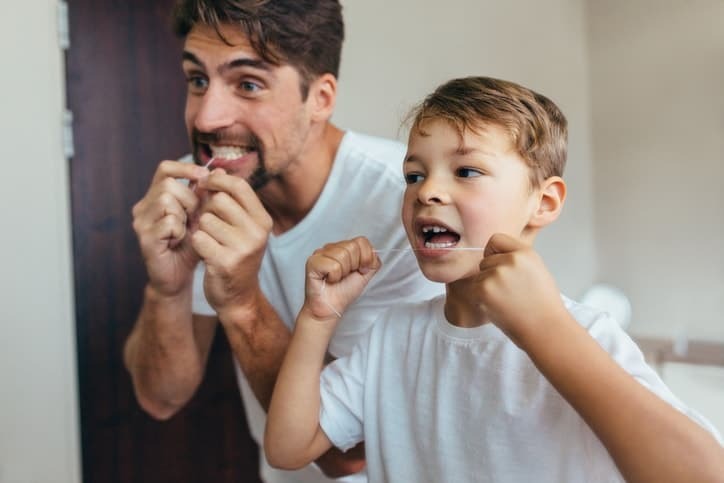 Your parents didn’t lie – brushing your teeth twice a day, instead of just once, has been proven to be more effective for maintaining your oral health. Throughout the day, you will likely eat foods that contain sugar or have acidic qualities – both substances have been shown to be hard on your teeth, and will continue to stay on your teeth and potentially build up over time if you don’t brush before bed. Overnight, saliva accumulates in your mouth and leads to its own form of build-up (and potentially bad breath), which isn’t helped by not brushing your teeth at bedtime. One of the best ways to keep your teeth and gums healthy is to brush before bed in addition to when you wake up in the morning. In certain cases, such as those who have arthritis or dexterity issues, an electric toothbrush may be a better way to clean your teeth than a manual one. Be sure to check with your dentist to see if using one is right for you and your gums, and make sure you ask your dentist for the brands they recommend – just as all manual toothbrushes are not created equal, neither are their electric cousins. Long before a toothache arises, your gums may be telling you that it’s time to see your dentist and check on your oral health with professional help. If you have any gum sensitivity or bleeding, it may be a sign that you are susceptible to certain diseases, such as gingivitis. While gum sensitivity doesn’t necessarily mean you have a problem, if your gums are in pain and go untreated, over time this could lead to more serious issues. You’ll want to see what your dentist recommends – whether it be a different type of toothbrush, floss or toothpaste – to reduce gum pain or bleeding so that you avoid having even greater oral health challenges later on. When you’re at the dentist, make sure you always schedule your next appointment while you’re still at the office. We all know how life gets – when the next check-up is six months away, it seems like we have forever to book it into our schedules. Remember though how busy you typically are – will you really remember to book that next dental appointment sooner rather than later? Getting it on the books is the surest way to maintain regular check-ups. Remember that you’re competing with the fellow patients of your dentist to stay on a regular schedule as well – the more people that go through the office after you, the more full your dentist’s calendar will be during your next check-up cycle. Book it early, set a reminder in your phone’s schedule, and you’ll have the peace of mind of knowing your dental health is a priority. Questions About Your Oral Health? Get In Touch! At our Dental Implants Clinic, your oral health is our top priority. 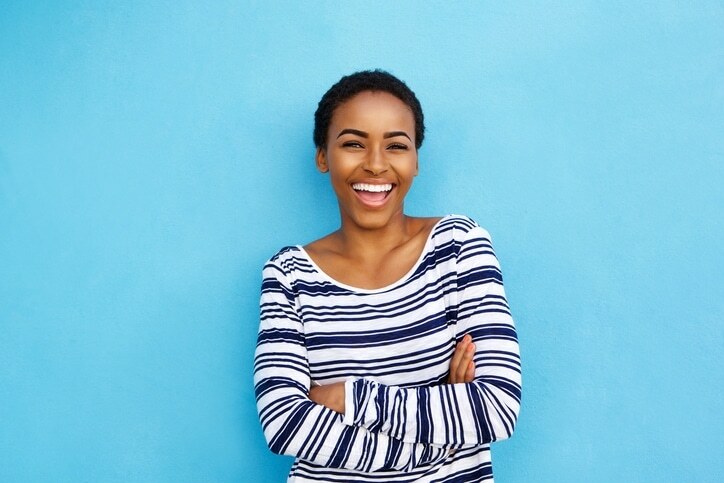 Whether you’re in need of a tooth replacement due to gum disease, accident, or any other condition, we’re here to ensure that your dental wellness gets back on track. As our patient, we’ll be working with you to make sure that your dental implant (or implants) enhance your oral health and leads you on the path to overall health improvement. If our services sound like the right plan for you, be sure to get in touch for a consultation – we’d love to have you at our practice.